Her Highness Sheikha Moza bint Nasser, Chairperson of Qatar Foundation, attends the closing session of WISH 2018. Over the course of two days, the summit brought together leaders and innovators in healthcare from around the world to tackle pressing healthcare challenges. 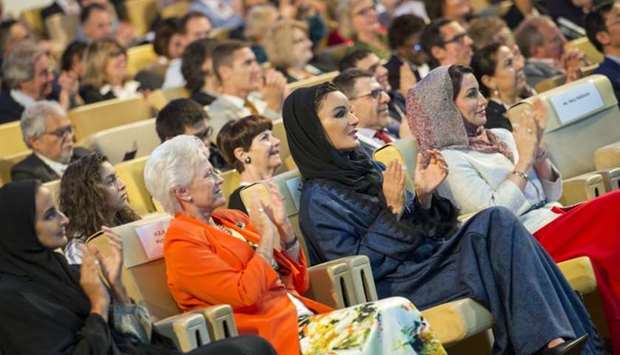 Her Highness Sheikha Moza bint Nasser, Chairperson of Qatar Foundation (QF), attended the closing ceremony of the fourth World Innovation Summit for Health (WISH) Wednesday. 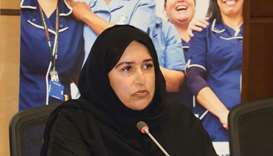 WISH – an initiative of QF – in collaboration with the World Health Organisation (WHO) has announced a global database of Chief Nursing Officers (CNOs). The database will become a digital communications platform for CNOs to share ideas and concerns with each other, wherever they are in the world. At the closing ceremony, the delegates were encouraged to return to their communities and seek innovative ways of solving pressing health issues. 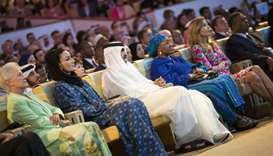 The ceremony was also attended by a number of dignitaries, health ministers, and policymakers from around the world. A panel discussion on ‘Anxiety and Depression’ took place, chaired by Paul Farmer, chief executive of Mind, the leading mental health charity in England and Wales. The forum discussed the current global burden of people living with anxiety and depression, risk factors of developing the illnesses, and the treatment gap. According to the WHO, only one in 27 people receive adequate care for anxiety or depression in some low and middle-income countries. Record-breaking Olympic swimmer Michael Phelps delivered a keynote speech on the subject of anxiety and depression, having suffered with mental health issues throughout his illustrious career. “As an athlete, I was taught always to be strong, to never show weakness, and push through any obstacle. At times my depression would overpower me and I’d put my head under the water and scream. In the end, I was lucky. I realised that it was ok to talk about it. As I started opening up and talking about my mental health challenges, I found strength, not vulnerability, and I realised that that it’s OK to not be OK,” he explained. 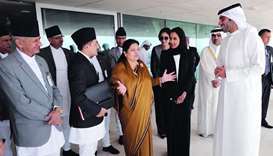 Other topics discussed on the second day of the summit included providing healthcare to remote areas, how healthcare systems plan for the long term, and safety in maternity. Other than the main speeches and panel discussions, the summit exhibition space continued to attract crowds. Delegates were offered the chance to record their ‘One WISH’ for the future of healthcare via a video message wall. “WISH 2018 has shown that innovation in healthcare can take many forms, from the technology being introduced by young entrepreneurs to exceptional ideas that are being developed by academics, policymakers, NGOs, and the healthcare industry. 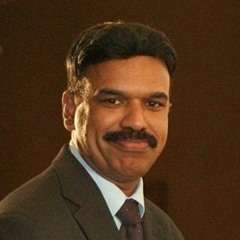 We need to focus on putting the best ideas into practice,” added Sultana Afdhal, CEO,WISH.